There are two main types of Delicious apples. The first is the Red Delicious, which is typically a bright red and has five very obvious bumps on the bottom. The other type is a round, greenish-yellow apple known as the Golden Delicious. Some people call the Golden Delicious apple a green apple; but when it is fully ripe, it has more yellow to it than green. These two types have some things in common but also a number of differences. Red Delicious apples are typically sweet and crisp. The Red Delicious apple is sweet but not overly so. It sometimes has a little bit of tartness to it, though this is not always the case. 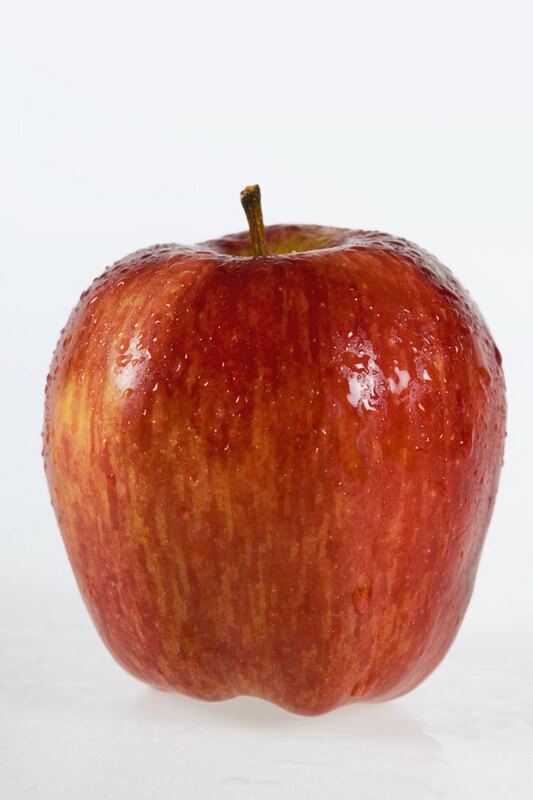 A Red Delicious is very crisp and juicy, with pale yellow flesh. It is naturally low in acid. The Golden Delicious apple is sweeter than the Red Delicious and has a pleasant, mild flavor. The flesh of this apple is crisp with a very light yellow color and is quite juicy. Both the Red Delicious and Golden Delicious varieties of apples are suitable for eating raw. Which one is preferable is largely a matter of personal taste. Both are very sweet and crisp. 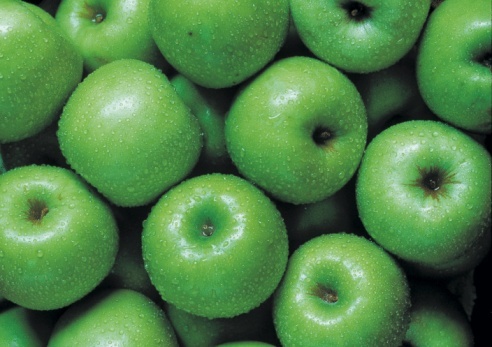 If the Golden Delicious apple appears more green than yellow, it may not be ripe enough to eat raw and will not be as sweet as it will be when ripe. As it ages, it turns to a very obvious yellow color, which can indicate that it is past its prime. It will likely have lost both sweetness and crispness at that point. The Red Delicious stays red even when it is older, so it is hard to tell by looking at it what it may be like inside. The Golden Delicious apple is excellent for cooking. It can be used to make pies, applesauce or simply baked with some sugar and cinnamon sprinkled on top. It also typically freezes well and can be sliced then frozen for later use in pies. The Red Delicious apple does not hold up as well in terms of flavor when cooked. It also does not freeze well and is best kept refrigerated and eaten raw. Both types of Delicious apples can be used to make apple cider. In fact, they are often combined to create a balanced cider. They may also be combined with other types of apples, such as Jonathan with Golden Delicious. Golden Delicious can also be made into apple butter and jelly, but Red Delicious is not a good choice for either of these.